2018 – Design Your Lifestyle. December 2018 Peter Salerno, Inc.
It’s been bitterly cold in the Northeast lately, which means that the team at Peter Salerno Inc. needs as many ways to keep warm as possible – both at home and at their award-winning design showroom! We don’t have to tell you how sweet and comforting a mug of hot chocolate is. And we could go on for days about how delicious Nutella is. But when we found out that A Beautiful Mess put the two together… well, our winter got a lot warmer. A Beautiful Mess is run by sisters Elsie Larson and Emma Chapman. According to the website, their blog is “focused on creating happiness every day through a homemade lifestyle”. That’s a mission statement we can get behind! 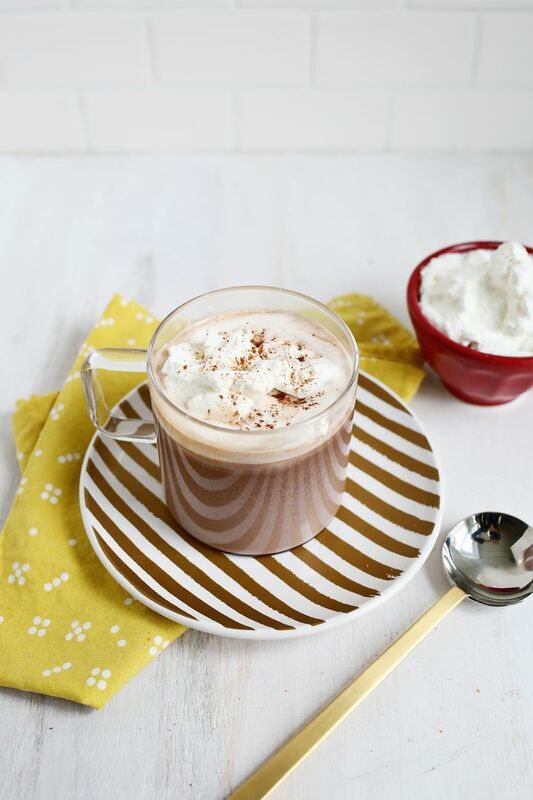 Their recipe for Nutella Hot Chocolate is absolutely spectacular. 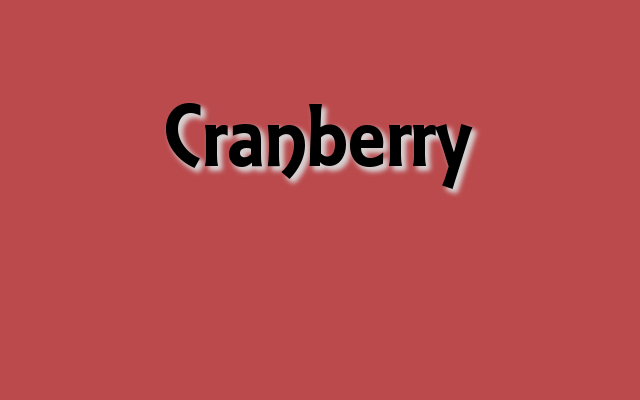 It’s a great blend of sweet and a little salty, rich and smooth. And it’s the perfect, decadent way to treat yourself on a cold winter day – try it! Add your milk to a small pot and heat the milk over low-medium heat until warm (don’t let the milk boil; just warm it slowly). Once the milk has warmed, add your Nutella and stir regularly with a whisk until all the spread has dissolved. Add the cinnamon and salt, and stir until combined. Pour into mug and garnish with a dollop of whipped cream. December 2018 December 2018 Peter Salerno, Inc. Even the hardest-working team in the kitchen and bath design industry needs a few days off to celebrate the holidays with family! Peter Salerno Inc., the most award-winning North American custom kitchen and bath design firm since 2002, has updated its hours for December 2018 and early January 2019. We wanted to note those changes here, in case you were interested in visiting the award-winning Peter Salerno Inc. showroom and offices in Wyckoff, New Jersey. 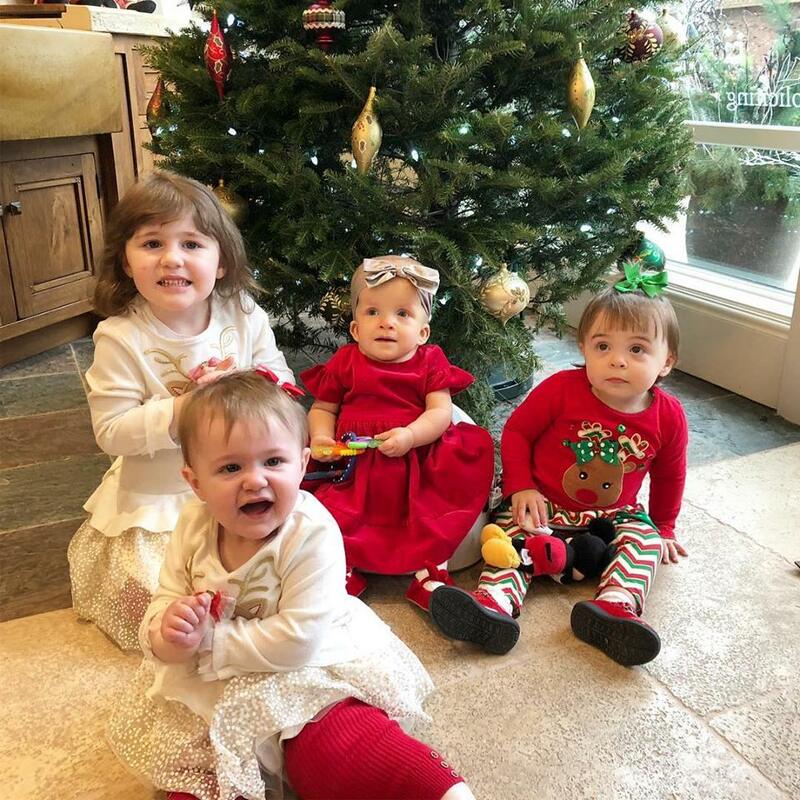 Happy Holidays, Merry Christmas and Happy New Year from Peter Salerno’s granddaughters and the ‘girls’ of Peter Salerno Inc.! Here are the updated Peter Salerno Inc. office and showroom closings for this holiday season. For more information and contact details regarding appointments at the Peter Salerno Inc. showroom and offices, please visit the official Peter Salerno Inc. website. 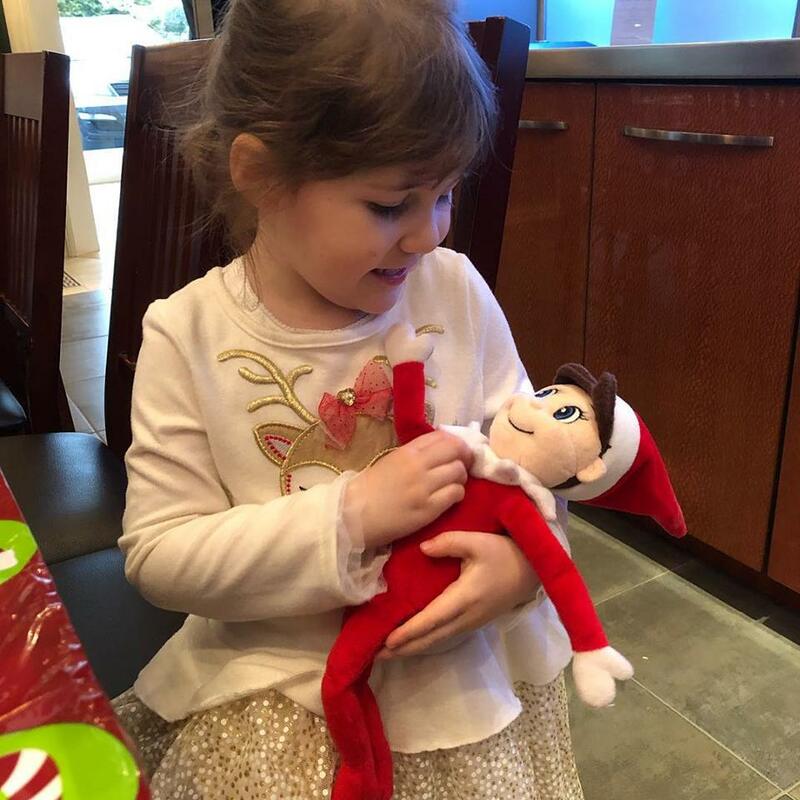 Peter Salerno’s granddaughter, Jesse, playing with Elliot the Elf on a Shelf! From the entire Peter Salerno Inc. staff, Peter and Tracy Salerno, their children, grandchildren and extended ‘design family’, Merry Christmas, Happy Holidays, and a very Happy New Year! The premise of a white kitchen design is simple: make the prevailing design as clean and simple as possible, and your decoration and accessory options are boundless. Whether you keep everything fresh and streamlined, or adorn the space with bold, colorful decor, having a white kitchen design scheme as your base leaves your options wide open. Peter Salerno Inc. new white kitchen design – stunning and trendy. If a white kitchen design is in your plans for this season, picking the proper white tone for your space is important. As Pantone expands its vast palette of colors, the variations and undertones of white colors has reached immense proportions. Do you want a classic white? White with a tan note? White with a hint of pastel, or a touch of brilliant blue? Whatever your preference, we’ve selected six Pantone white tones that work brilliantly in your kitchen design. From the reddish off-white of eggnog to the bluish hue of Brilliant White (and a little of everything else), these six Pantone white colors are varied, intriguing and adaptable to your kitchen design. Which do you like best? We’d love to hear from you! November 2018 November 2018 Peter Salerno, Inc. The combination of black, gold, and off-white is a stunner, and it’s all the rage this Winter 2018-19 design season. And why not? The timeless sturdiness of black, the dazzling punch of gold, and the trendy neutral off-white are the perfect blend of transitional and timeless. Used to proper effect, this color combination can make its way from a seasonal trend to a lasting color design scheme in your home. The luxurious, crisp combination of these 3 colors is often associated with New Year’s celebrations – so why not apply them to your entire winter color design scheme by extension? The wonderful thing about the combination of black, gold and off-white tones is how relative they are with the trend towards neutral and white tones in kitchen and bath design. With bases in black, taupe/beige (gold tones) and off-white, this color palette covers virtually all your neutral tone bases, while still creating plenty of visual interest. We’ve selected two sample Pantone color palettes for this Winter 2018-19 color design trend, then broken down the six Pantone colors separately with their Pantone reference codes for easy identification. Which palette do you prefer? Do you prefer classy and demure, or bold and glossy? November 2018 Peter Salerno, Inc.
Christmas 2018 is right around the corner! One of the most beautiful times of the year for decor and design, the holiday season is full of festive, inviting colors – not the least of which is red! 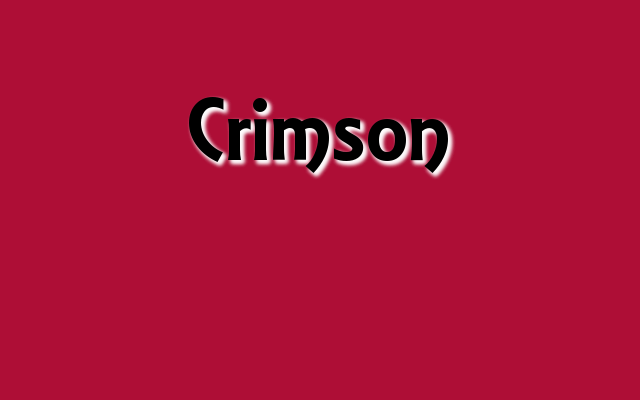 The warmth and beauty of red makes it a wonderful choice one of the “official-unofficial” colors of Christmas (green being the other). 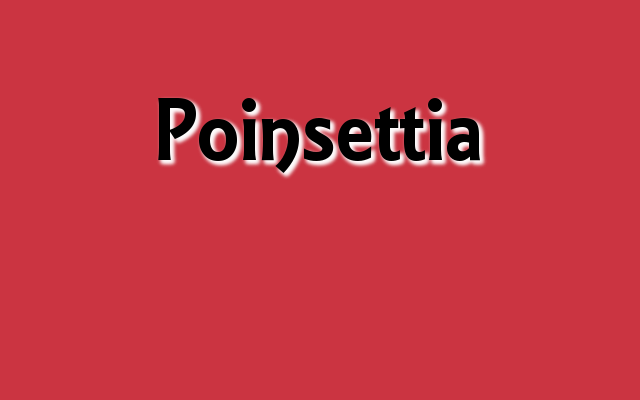 From Santa’s suit to poinsettia petals, holiday gift bows to Rudolph’s shiny red nose, the color red is everywhere you turn during the holidays. 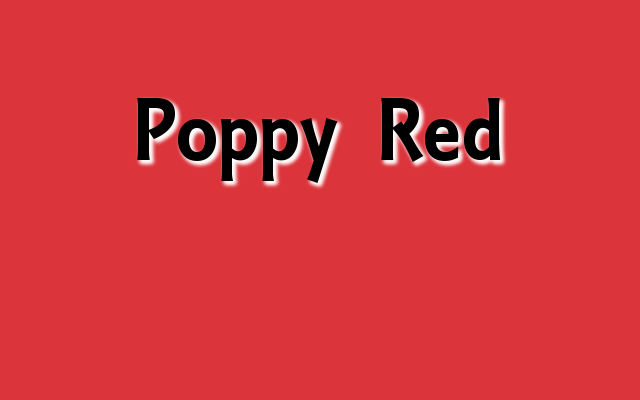 Pantone, the world’s foremost color matching system, has put names and coding to every shade of red you could possibly imagine. But which of these red shades are right for your 2018 Christmas decor and designs? 2018’s color design trends taught us that our warm colors need to be bright, cheerful and optimistic. As such, we’ve focused on six perfect shades of Pantone red to add color to your 2018 holiday decorations. 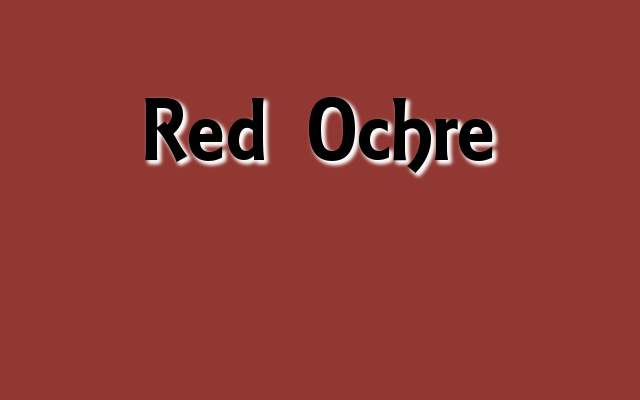 A rich, jewel-tone red that spices up your surroundings. No matter your taste, here are six fantastic shades of Pantone holiday red (along with their color codes) that are sure to please as core color elements of your 2018 Christmas decor and design! 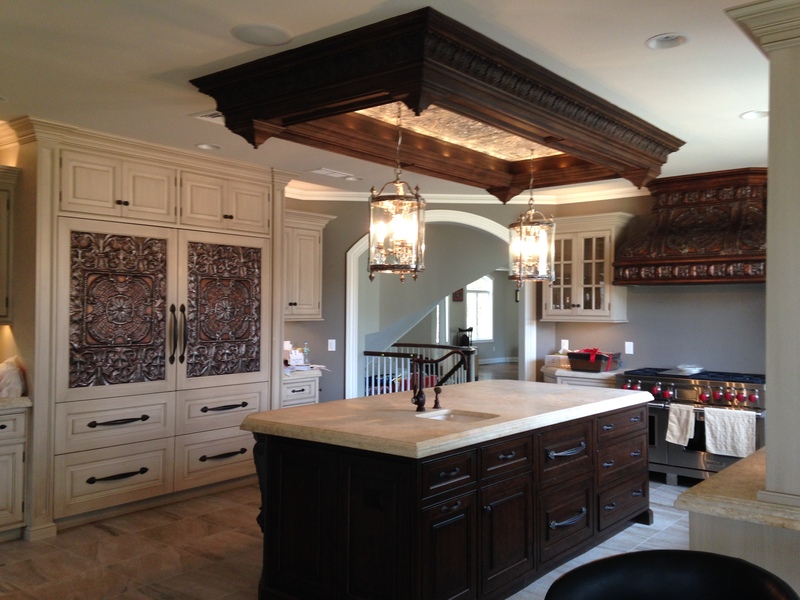 This beautiful kitchen in Colts Neck, New Jersey, received an amazing interior design makeover from Peter Salerno Inc. The makeover was due in large part to two items that at first glimpse have nothing to do with one another: reclaimed tin, and gorgeous Swarovski crystal. 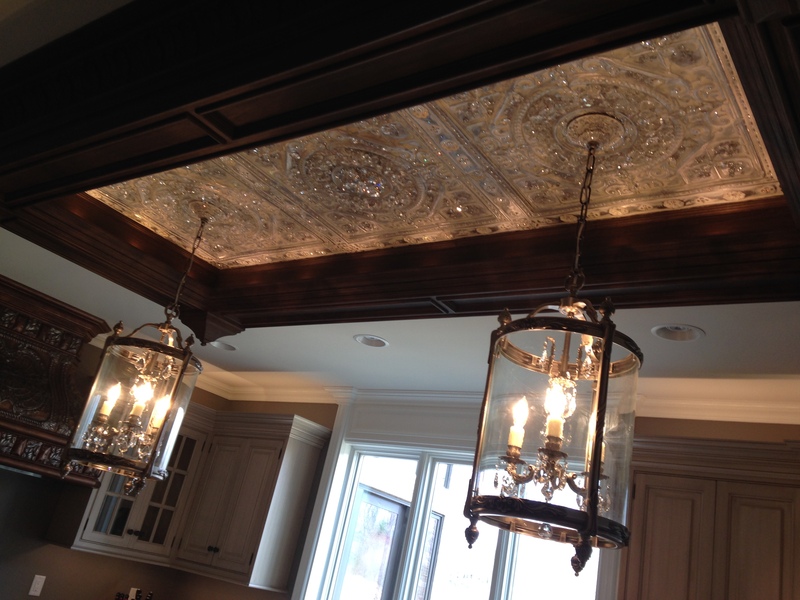 As you can see, the Swarovski-encrusted reclaimed tin is lit on the ceiling above a handcrafted kitchen island, creating a dazzling effect that the homeowners love. The kitchen was also fitted with new tile, custom cabinetry, and state-of-the-art oven and range. The reclaimed tin was also molded into a gorgeous custom tin range hood. 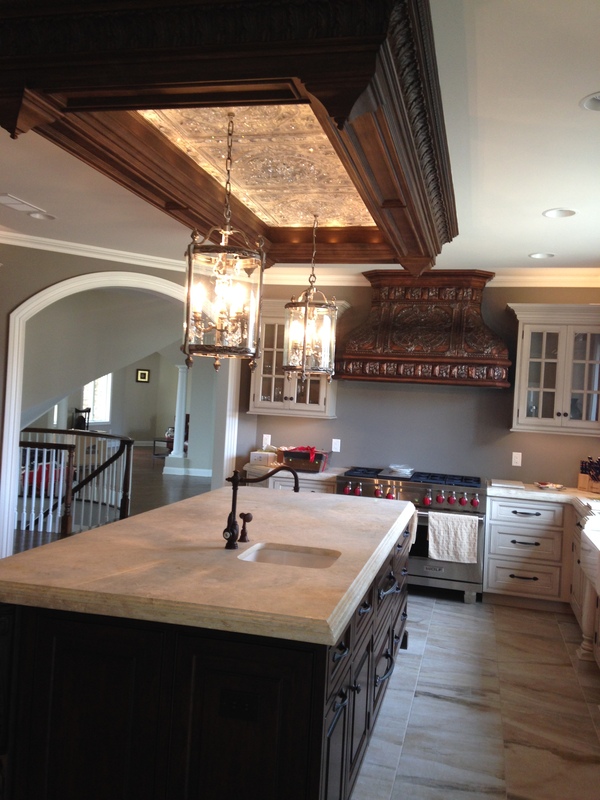 If you’d like more information about this kitchen makeover, or if you’d like to schedule an appointment to talk to Peter Salerno about your own kitchen makeover or interior design project, fill out the contact form below. With the most award-winning North American interior designer of the last decade on your side, you too can have amazing interior design results like this! We all know the day after Thanksgiving is Black Friday. But make sure you join us in celebrating Small Business Saturday the next day – Saturday, November 24, 2018! Small Business Saturday is of particular value to Design Your Lifestyle, as we are a small business whose parent company, Peter Salerno Inc., is a family business with humble roots that has become the most award-winning North American custom kitchen and bath design firm of the 21st century. 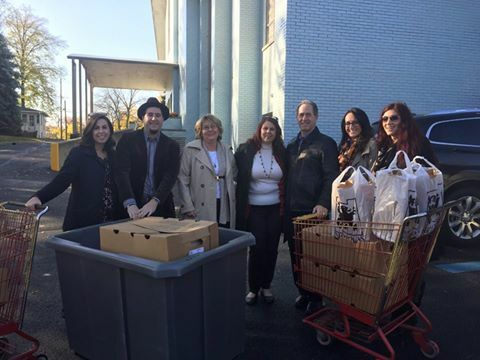 Peter Salerno Inc. donates 100 turkeys a year as part of their Thanksgiving and Small Business Saturday mission. Paying it forward with support for charities and non-profits in the community. Each year, Peter Salerno Inc. donates 100 turkeys to a local food bank as part of its mission to give back to the local community. 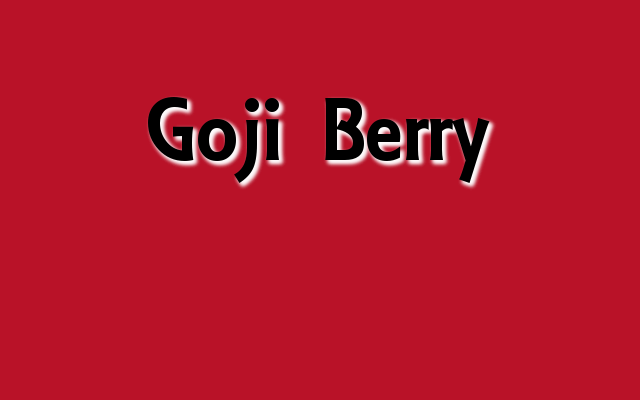 It’s one small way that a company that has prospered for over 20 years in the Bergen County, New Jersey area gives thanks. 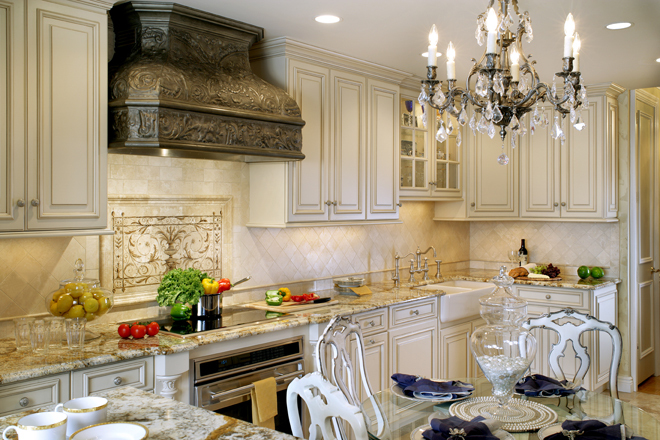 Peter Salerno Inc. marries an owner’s personality with world-class design elements. Peter Salerno Inc. is driven by the same attention to personal detail that makes Small Business Saturday an annual success. While achieving renown as a world-class kitchen and bath design company, Peter Salerno Inc. has maintained its small business status in order to best serve its clients in a nimble, personalized manner. The idea of “personalized luxury” appeals to Peter and his staff – in short, true luxury is found in a home design that directly reflects those who live in it. Whether it be artistic flourishes (painted flowers in the kitchen to symbolize the birth month of each family member) or construction details that evoke family heritage, Peter Salerno and his team strive to blend the personal touches of a small business with the spectacular design achievements of an award-winning firm. Support Peter Salerno Inc. and local businesses like it this Small Business Saturday, and keep the community you love strong and vibrant!